A party to commemorate the 20th anniversary of an IRA mass break-out from a County Antrim prison has been branded "inappropriate" by an Ulster Unionist MP. 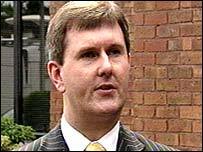 Jeffrey Donaldson was referring to a dinner dance on Friday night to mark the escape of 38 IRA prisoners from the Maze Prison on 25 September, 1983. 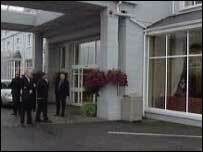 Up to 800 republicans and their families joined prominent Sinn Fein members at the commemoration in a Donegal hotel. 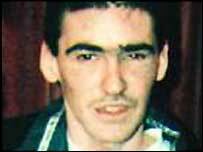 Sean Kelly, the IRA man convicted of the 1993 Shankill Road bombing in Belfast in which nine civilians were killed, was also present. Prison officer James Ferris died of a heart attack after being stabbed while attempting to stop the Maze jail break, the biggest in the UK's history. Sixteen escapees were later acquitted of his murder after the trial failed to prove the heart attack was caused by the stabbing. The State Pathologist told the trial the injury would not have killed a healthy man. Lagan Valley MP Mr Donaldson condemned the event as "insensitive, inappropriate and totally unnecessary". "I've dealt with one prison officer involved in this situation, whose life has fallen apart," he said. "He's had to give up his work and was left with serious psychological damage which he will carry for the rest of his life. "I think to celebrate the Maze escape is glorifying in acts of terrorism and rubbing salt into the wounds of those who were victimised as a result." Jeffrey Donaldson said party was "inappropriate"
The Prison Officers' Association said the event was disgraceful. Spokesman Finlay Spratt said it was "contemptible" and an "outrage". According to an advertisement in the republican weekly newspaper, An Phoblacht, the "true story" of the escape was told by, among others, Sinn Fein's Gerry Kelly and former IRA chief in the Maze, Brendan "Bic" McFarlane. Mr Kelly had been jailed for life in 1973 for the Old Bailey and Scotland Yard bombings and after his escape from the Maze he was eventually captured in Holland. He later went on to become the Sinn Fein representative for north Belfast in the now suspended Stormont Assembly. Sinn Fein's Gerry Kelly defended the event from which the media was excluded. He said it was a "significant event in republicans' history". Half of the escapees were recaptured but 19 got away from the security forces. Nine of those who escaped are now dead and their families were honoured at the event. Three of the escapees are still officially at large. They are Kevin Barry Art, Paul Brennan and Terence Kirby. The Prison Service said they were not being "actively pursued". 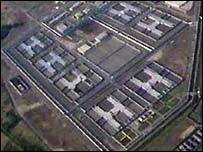 The Maze Prison housed some of Northern Ireland's most notorious paramilitary prisoners during the Troubles. It closed in September 2000 as a result of the Good Friday Agreement's early prisoner release scheme.